Enter the file name in the Save As field, then choose where you want the file to be saved. 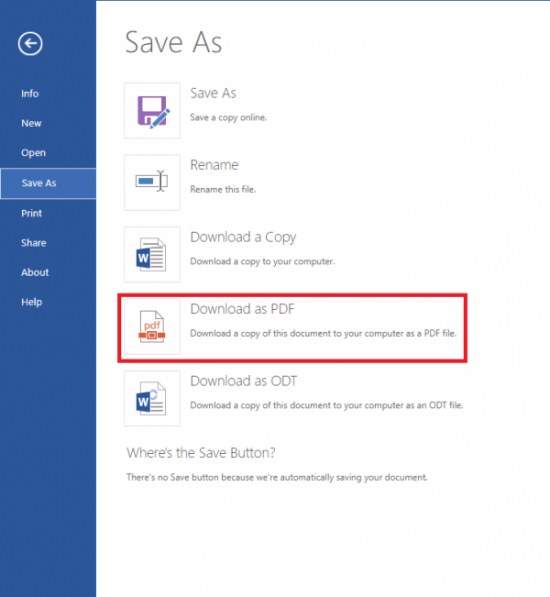 In the Save As dialog, go to the File Format drop down box and select PDF. Select the radio button Best for electronic distribution and accessibility (uses Microsoft online service). This ensures the PDF is tagged. Note: If you do not see this option, you may need to update your version of Word. 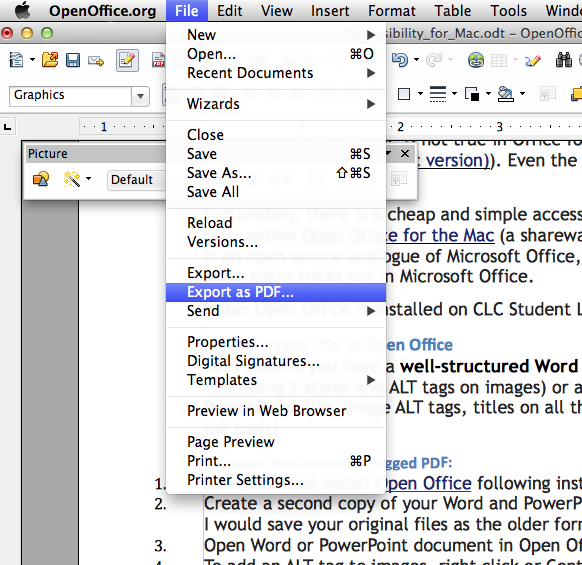 A method of creating tagged PDFs in either Office 365 or the Macintosh version of Open Office is also available. Go to the File tab and then click Save As. After that click the Download as PDF option. 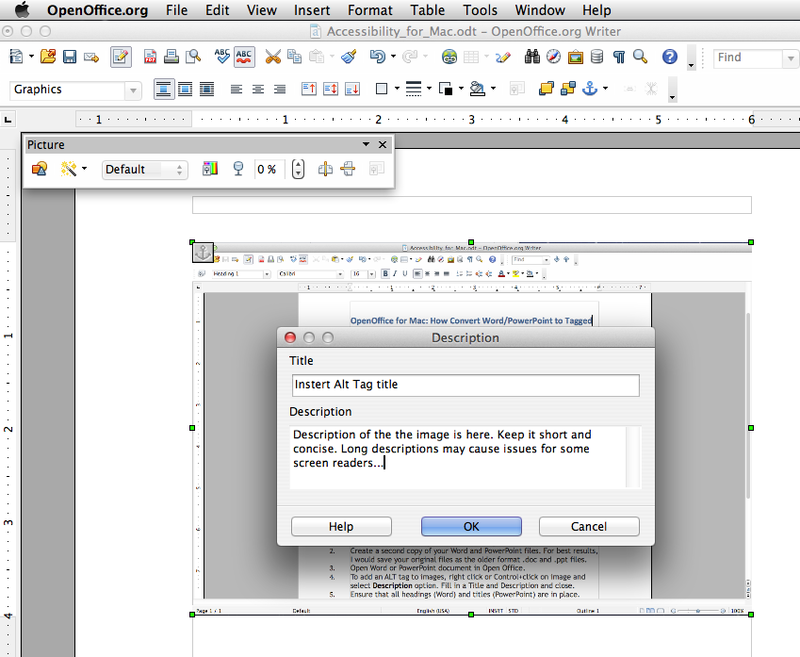 “OpenOffice” is a tool to convert a correctly structured Word and PowerPoint to correctly tagged PDFs in Office for Mac. The accessibility Wizards are Windows only. 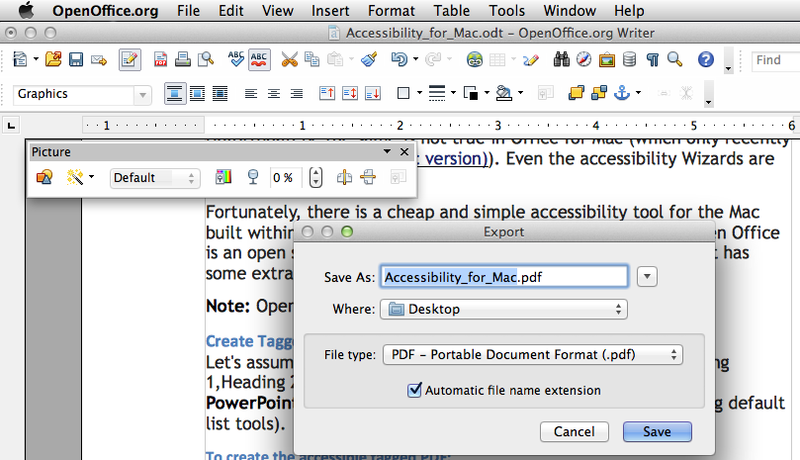 There is a cheap and simple accessibility tool for the Mac built within OpenOffice for the Mac (a shareware product). OpenOffice is an open source analogue of Microsoft Office, but sometimes it has some extra tricks not in Microsoft Office. Note: OpenOffice is installed on CLC Student Lab Macs at PSU. First, have a well-structured Word file (using Heading 1,Heading 2 styles and ALT tags on images) or a well-structured PowerPoint file (Image ALT tags, titles on all the slides and using default list tools). Download and install at OpenOffice.org following instructions on the Web site, if not already installed. 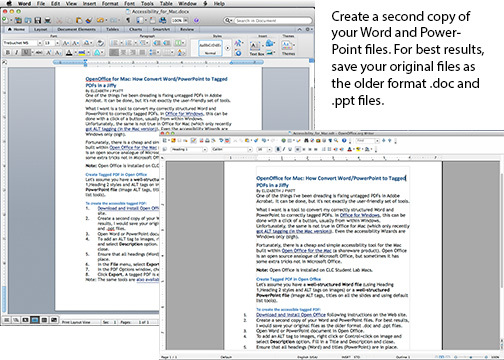 Create a second copy of your Word and PowerPoint files. For best results, save your original files as the older format .doc and .ppt files. 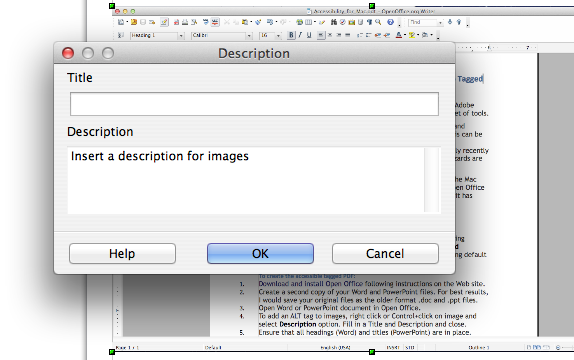 Open Word or PowerPoint document in Open Office. Ensure that all headings (Word) and titles (PowerPoint) are in place. Ensure that any tables in the document have the first row marked as a header. In the File menu, select Export as PDF. In the PDF Options window, check Tagged PDF. Click Export. A tagged PDF is exported.